Meghan Hultquist is a passionate marketing strategist and the president of HQdigital, an agency she launched with her husband in 2018. 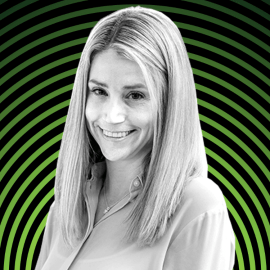 She has led growth-focused marketing programs for more than a decade, including her role as director of marketing for Square 2, HubSpot's first diamond-tier partner and an Inc. 5000 fastest-growing company 2015-2017. Meghan is an accomplished industry thought leader, workshop presenter, speaker, and small business coach. She is the leader of the Toledo HubSpot User Group, a mentor for digital marketing science students at GreenFig, and an active member of EPIC Toledo, the largest organization for young professionals in Northwest Ohio. She earned multiple nominations for the Toledo 20 Under 40 Leadership Award in 2018, and she is a candidate again in 2019.